Over the past seven months, more than 100,000 Buicks have rolled off the assembly line of a new plant erected on a once-desolate scrap of wasteland on the outskirts of Wuhan, a fast-sprawling metropolis on the Yangtze River. Surrounded by roads bearing names such as Chevrolet Boulevard and Buick Street, the $1.1 billion plant is Shanghai GM’s fourth manufacturing facility. Shanghai GM is a joint-venture between General Motors and China’s SAIC Motor Corp.
A second phase investment of $1.2 billion will more than double the plant’s annual capacity to 480,000 cars by 2017. Moreover, $1.6 billion will back projects capable of producing 1.68 million engines annually by 2018, said a spokesperson for the plant. Though China’s auto market has slowed to single-digit growth after years of breakneck expansion, Shanghai GM has set its sights on China’s inland regions, aiming to sell up to 3 million vehicles in 2020. Wuhan is sometimes called the Oriental Chicago due to its central location and developed transportation networks. Now the city is looking to build itself into China’s Detroit by attracting more global big names to set up shops. Facing the GM plant across the Yangtze in Wuhan is a Renault plant set to start producing SUVs, following a $1.3 billion partnership between Renault SA and the local State-owned Dongfeng Motor Corp. Both the GM and Renault investments, among others, will vitalize Wuhan, which has set its sights on more than doubling its total production capacity to 3 million vehicles by 2017. 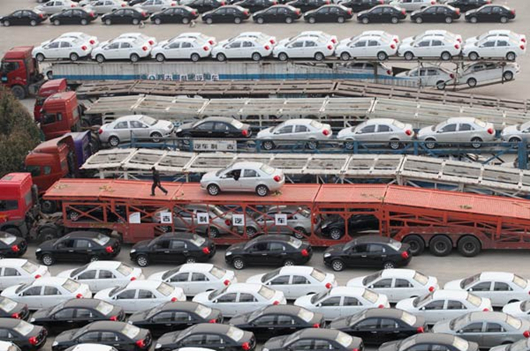 Li Linqing, vice director of Wuhan Auto Industry Office, said the industry was a big employer. “This is what the world’s second largest economy needs to create jobs and upgrade its manufacturing,” said Li.